Whether you're an arcane or a divine spellcaster, you need the magical boon cards included in this exciting new deck for the Pathfinder Adventure Card Game! 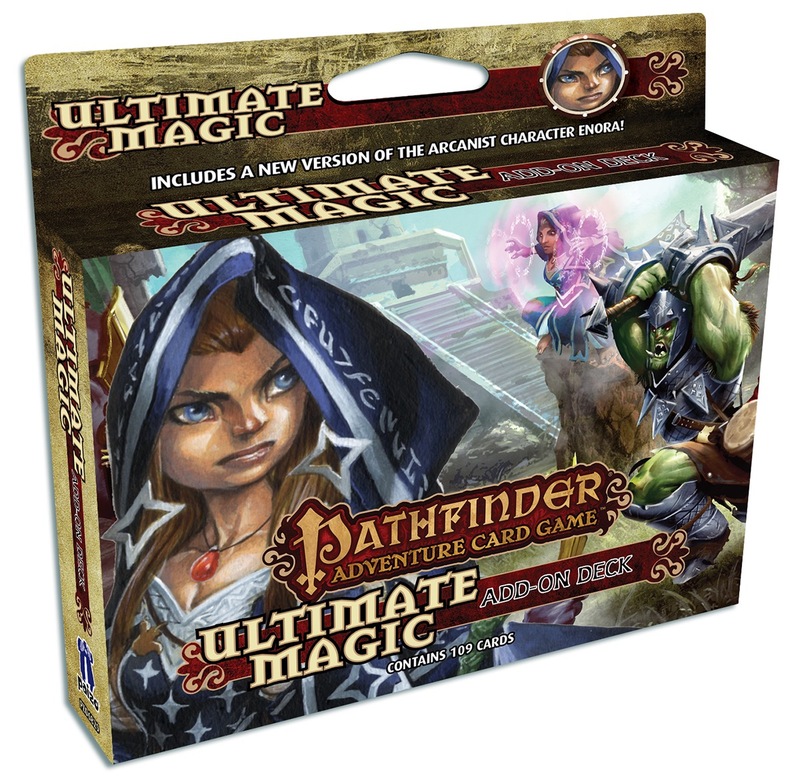 Loaded with spells and magic items galore, the Ultimate Magic Add-On Deck can be used with any Pathfinder Adventure Card Game character or Adventure Path. Or you can play with the character included in this 109-card box: Enora, the iconic arcanist. 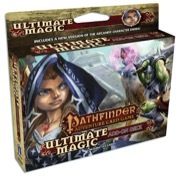 Harness your eldritch power with the Ultimate Magic Add-On Deck! Announced for April! Image and description are provisional and subject to change prior to release. Are we likely to get a tease of what this contains?! Magic items and spells are my favorite cards in this game...certainly would like a glimpse at some of will be available. I'd expect a blog post in the next week or so as we near the release date. Super excited to be able to play the Arcanist finally! Has there been an update to the cards list so that I may chronicle my society character with this as an add-on deck?